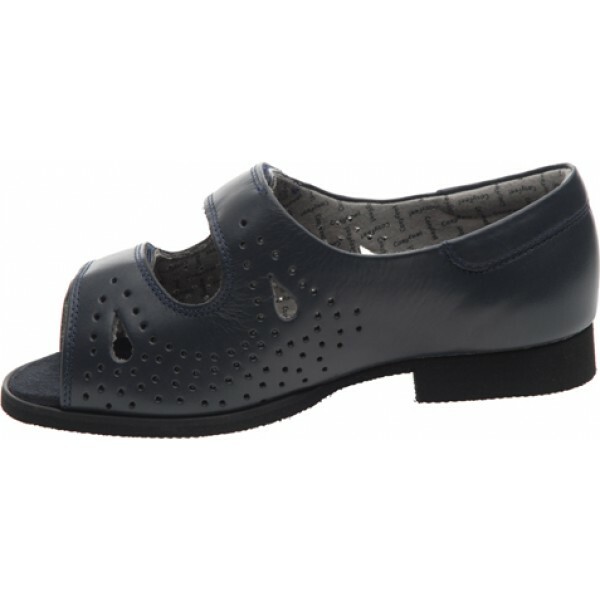 Cosy Feet Ladies Connie Sandal For Swollen Feet. So light, so roomy, so versatile - lightweight and ultra-adjustable, Connie fits a range of swelling and is now more comfortable than ever! The new premium leathers are soft and kind while the spongy footbed and shock- absorbing sole offer blissful, underfoot comfort. Very helpful when I sought advice by telephone. Product packaged well, arrived soon after order made, and was exactly what my 91 year old mother required. Many thanks for your assistance. Will purchase from you again. THESE SHOES WERE VERY WELL MADE AND CERTAINLY HAD ALL OF THE ADVERTISED QUALITIES, HOWEVER THEY WERE WAY TOO WIDE FOR MY ELDERLY MOTHER AND UNFORTUNATELY I HAD TO RETURN THEM - MAYBE A MORE DETAILED DESCRIPTION OF THE ACTUAL WIDTH, IE THE MEASUREMENT OF THE CIRCUMFERENCE OF THE RELEVANT PART OF THE FOOT OR A DOWNLOADABLE FOOT SIZING GUIDE WOULD HAVE BEEN HELPFUL.